There came the time when we have to deal with the modern Sherlock Holmes adaptations, where the detective is moved from the Victorian era and is placed into modern age. I would like to emphasize that I like BBC’s Sherlock (series 1) and love Elementary (series 1), and I am fond of their movie and cartoon predecessors as well. Why is it important to notice this? Because I am middle-aged and it is clear to those who personally know me that I am not a „trendy girl”. I am rather conservative. I know many people think being conservative is boring, and to mention it in connection with Sherlock Holmes one may say: „Well, she loves those dusty old novels and the newer versions are alien to her.” They are not alien to me, I think the Sherlockian world is more colorful because of them. I watch them gladly, but at the same time I know – and it is painful to know – that the greatest value of Conan Doyle and Sherlock Holmes is missing from them. We have to talk about this value if we want to treasure the reminiscence of the fantastic writer and of the great detective and respecting the facts at the same time. 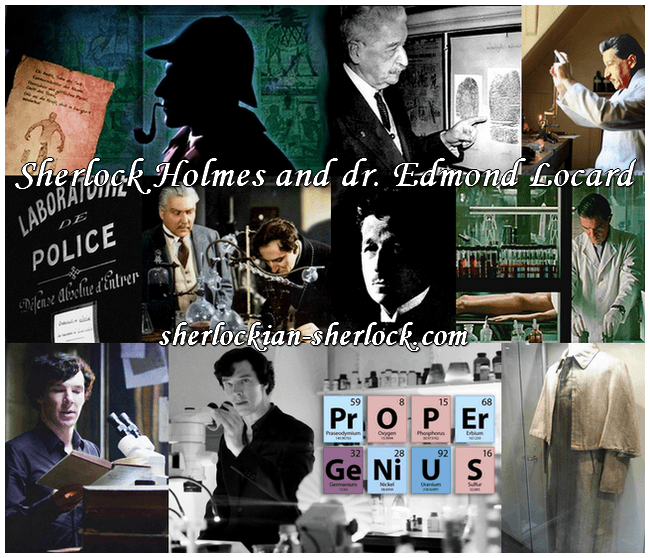 Sir Arthur Conan Doyle created his hero to act in his own age, in the Victorian era. And though Sherlock Holmes lived according to the Victorian standards, his profession was far beyond his time. In the 19th century England – just like everywhere else around the world – criminology was in an elementary state. Not just because of technology was undeveloped, but another reason for this was that the different phases of the investigation were done separately, by different people, and virtually there was no effective cooperation between them. Because of the lack of communication and collaboration crucial details of important cases remained undetected. Sherlock Holmes appeared in literature, but he relied on his exact observations and fantastic deductions, and even used new methods while working on his fictional cases. And he accomplished much more: he proved that the separate phases of investigation must be reconciled in order to solve a mistery. This way the British sleuth brought spectacular development into the history of criminology – without him this branch of science would not be on its present level. „Big deal, it would not be there.”- you may say with a shrug. But doing so would be unreasoning. It would be as absurd as not accepting the facts. At high school I had a lovely teacher. She had long, blonde hair, she was thin and dainty and had a beautiful face. I can say she was like a Barbie doll, and this is not an overstatement. Her sense of humour was even bigger than her beauty, and she was very humane. Her lessons were always enjoyable, because she gave interesting or funny examples to things. I already loved books before high school, but thanks to her I became fond of literature and she gave me lots of useful knowledge for life. 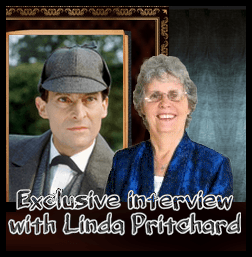 I am much obliged to her for having a Sherlock Holmes website. It was long ago when I was a schoolgirl, and at that time cinemas showed the modern version of Romeo and Juliet starring Leonardo Dicaprio. A schoolmate asked our teacher’s opinion on the fact that the characters of Shakespeare were placed into modern age. She told she understands that the play was adapted, but unfortunately this way the gist of it had lost. Romeo and Juliet must be evaluated in their own age, because their acts are outstanding only in their original age. Modern times have different values and many of their motives is not understandable. I think exactly the same of the modern Sherlock Holmes adaptations: I watch them gladly, but I am grieving the lost of their gist. Throughout the history of science there were several great scientists who were beyond their time with their theories and inventions. Albert Einstein and Nikola Tesla are perfect examples. Their work affects both our present age and the future. They brought development not only into their own age, but into the life of the upcoming generations as well. Sherlock Holmes had the same effect. When he is placed into another age, the most characteristic and most wonderful part of his personality is ruined. He is degraded to a simple genius, who has been stuck in his own age, his deeds are outdated and he cannot revolutionize his profession either. He is a professional investigator, but not a pioneer. It is a tragic change: in the original stories he lives for his profession and he works hard to develop the methods of investigation. In modern adaptations it is almost absolutely missing. In Doyle’s stories the detective contemplates a lot, and he is often in philosophical mood, because this helps him to find the solution of the mysteries. In modern adaptations this too is almost entirely lost, we only have some traces of it in Elementary. Outside his own age Holmes is not able to transcend time and he cannot give inspiration for future generations. Not just his genius is mutilated, but an outstanding achievement of Conan Doyle’s work as well, because he created a fascinating genius. Many authors have countless stories with Holmes in the main role, but they did not succeed to get near to Sir Arthur. They keep trying for almost two hundred years now. Their Holmes is a thinker who uses the devices of his age. I am glad that there are modern versions of the adventures, but I will never forget that extremely talented writer whom I owe the character of Sherlock Holmes – and the original Sherlock is far more exciting than the one adaptations can offer. My respect and gratitude to Sir Arthur Conan Doyle forever. Of course we respect the tremendous work what is behind the modern versions, and it is not our task to offer opinion on them – viewers can do that themselves. But the true, the real Sherlock Holmes can only be known from the canon, from the original stories of Sir Arthur Conan Doyle. Modern adaptations make the detective their title hero, but they change many things in his personality, and he not always profits from these alterings. The situation is the same with the other characters, and unfortunately modern versions contribute to the spreading of numerous misbeliefs as well. The creators of the modern adaptations often sacrifice the detective’s original, humane characteristics and the moral values for being more popular.